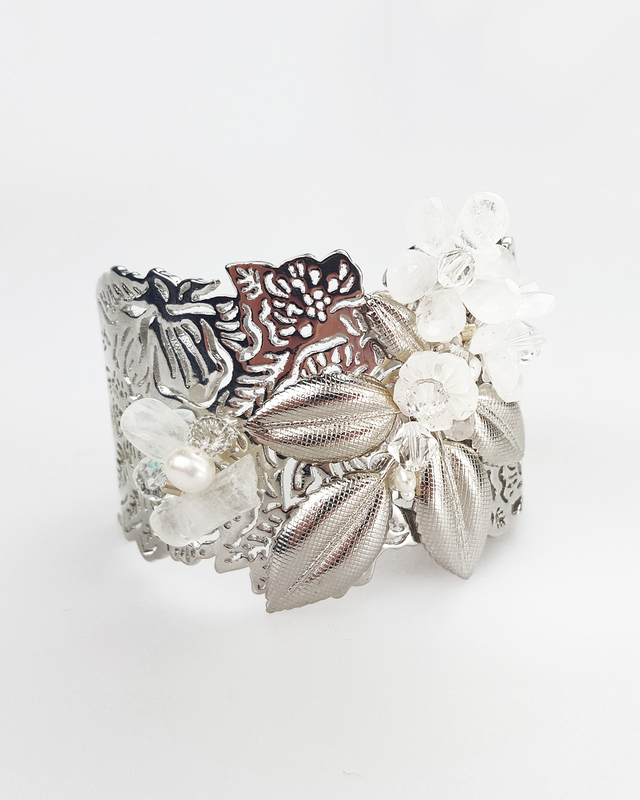 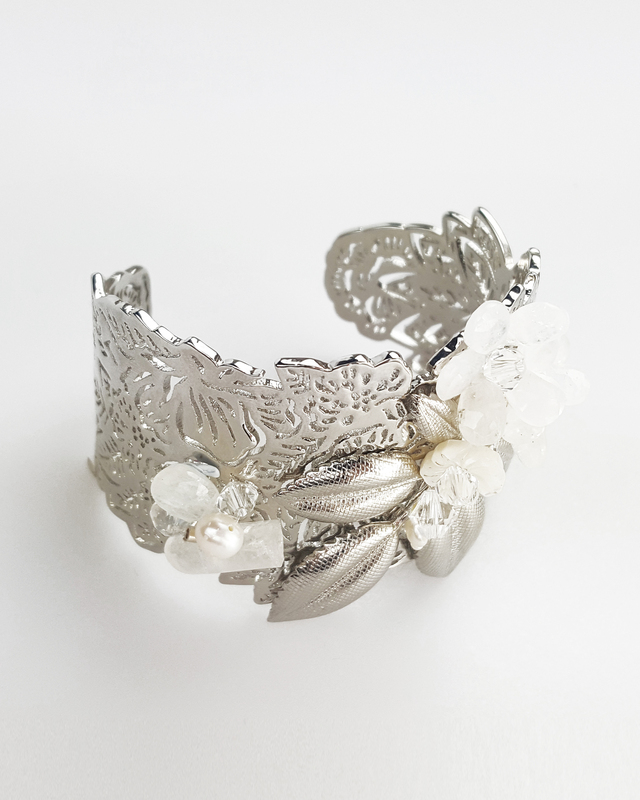 Gorgeous handmade, one of its kind, embellished statement cuff with semi precious moonstone, shell flowers, Swarovski crystals and fresh water pearls. 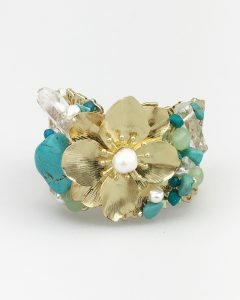 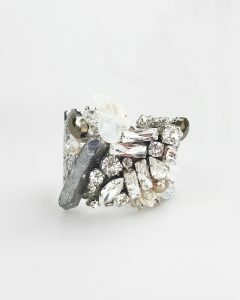 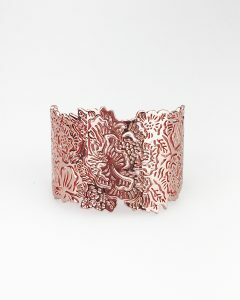 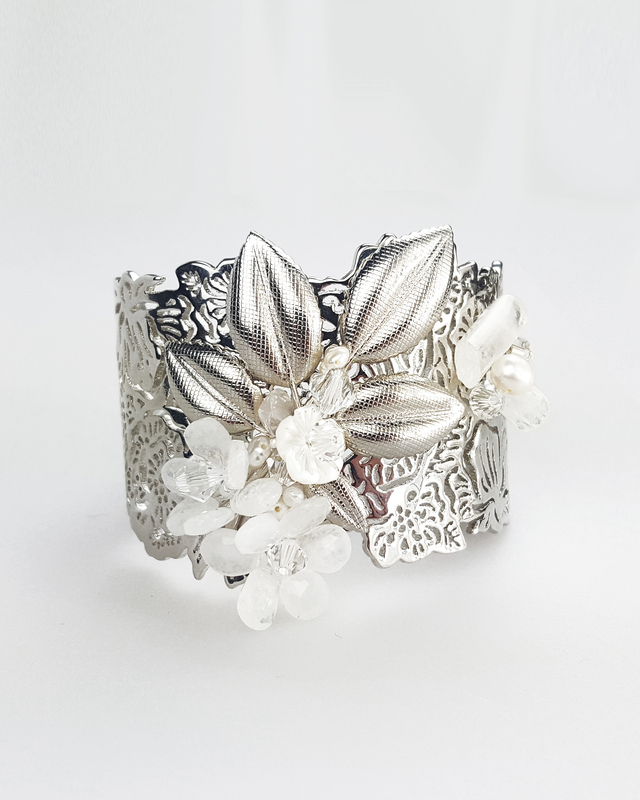 This cuff is perfect for a wedding, a special occasion or even just to add a touch of glamour to jeans and a white top! 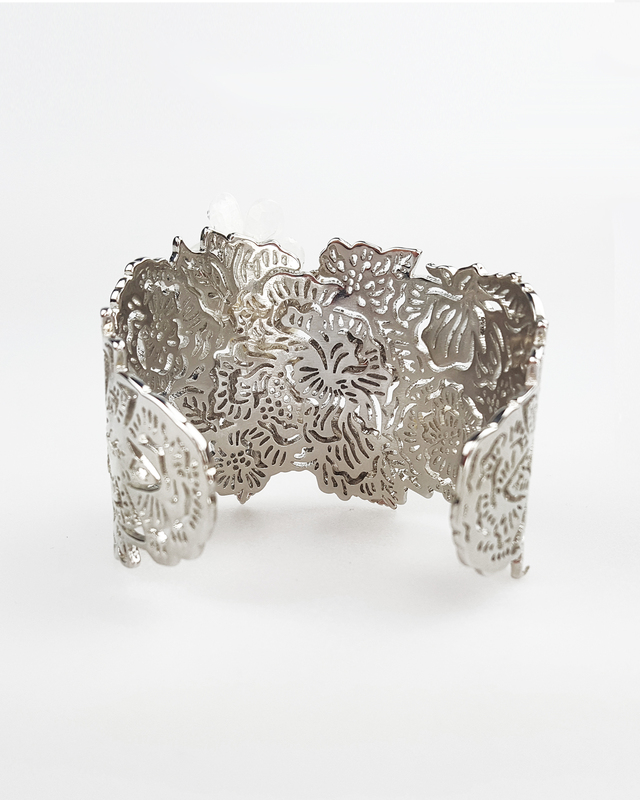 – Adjustable cuff so fits small and medium wrists. 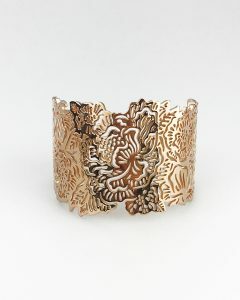 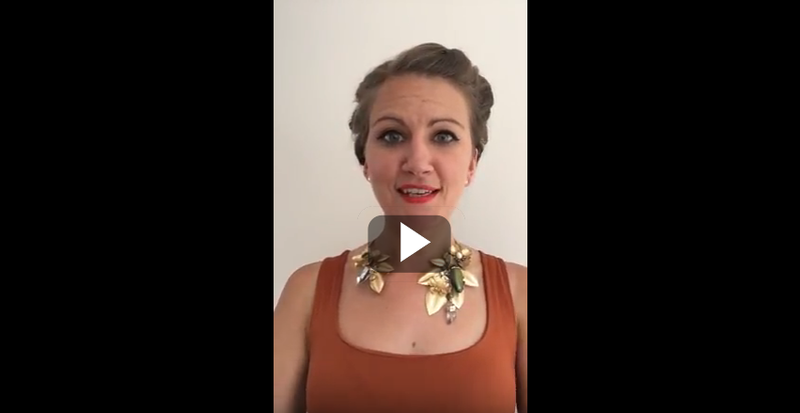 For larger wrists this may not be suitable so please feel free to contact and ask if you are unsure. 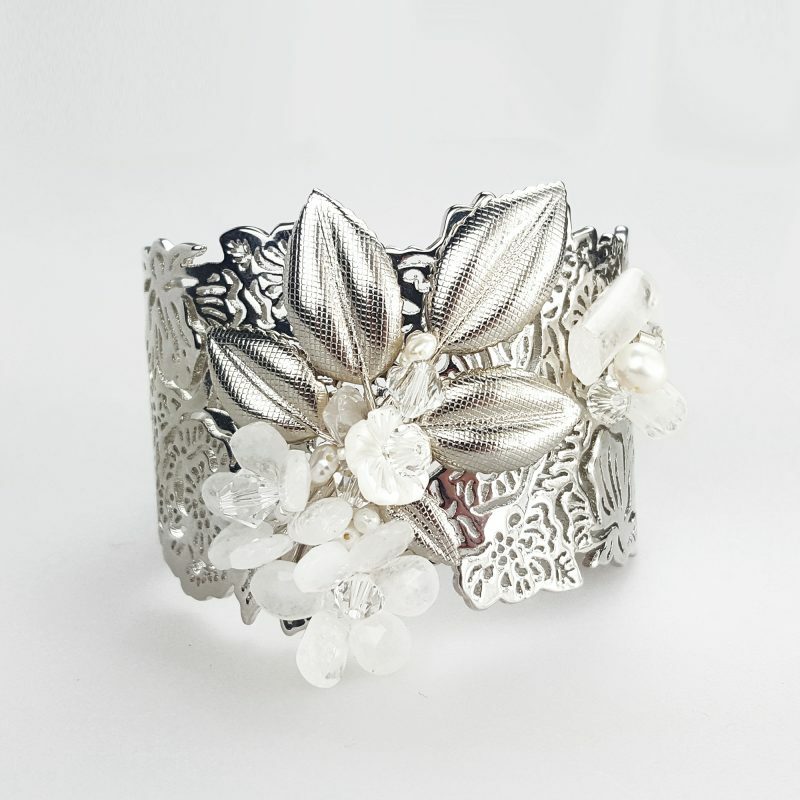 The components are designed and sourced by myself from across the globe and then handwoven together to create this statement cuff.